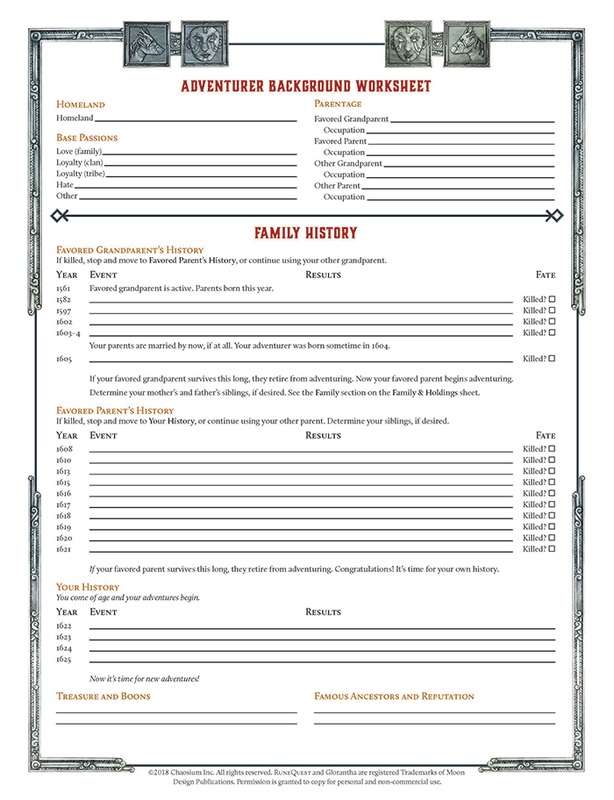 We are including free PDF downloads for our RuneQuest Character Sheet, Background Worksheet, and Holdings/Family/Allies sheet. 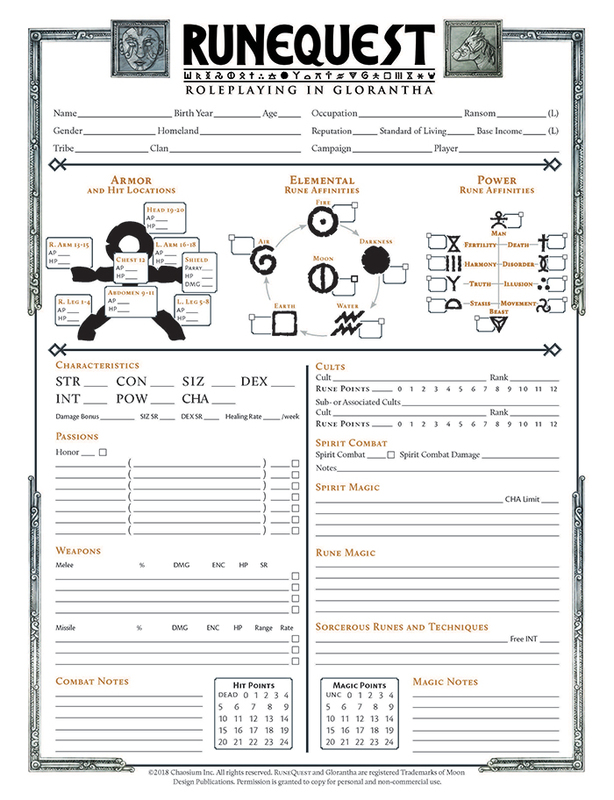 These are not auto-calc sheets, but the character sheet is fillable. 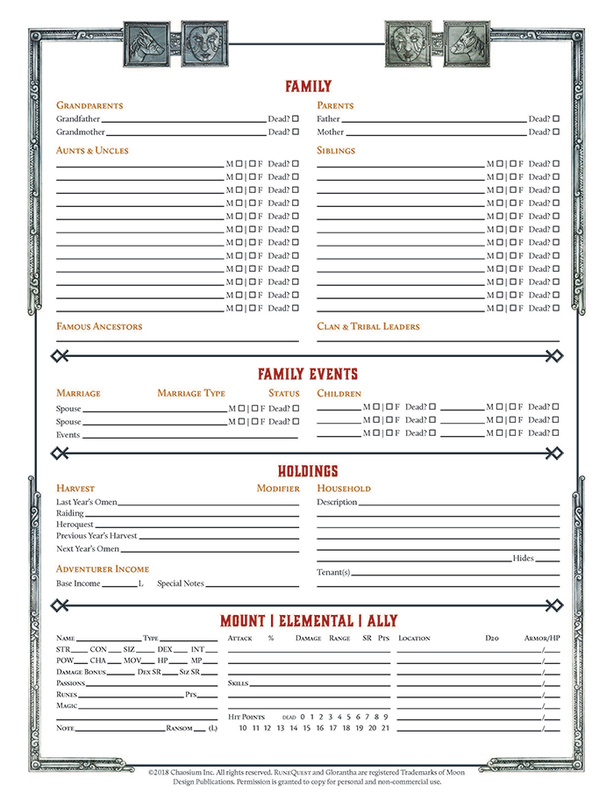 They may be printed and freely used by you and your players.